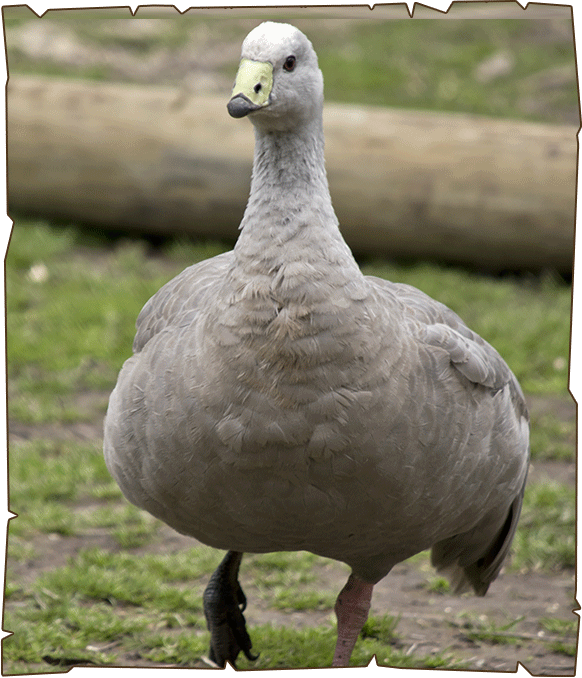 The Cape Barren Goose comes all the way from Australia. These are bulky geese and are unique. They have an enormous body as compared to their head. They have uniformly grey plumage which bears rounding black spots. Their feathers and tails are blackish and their legs are pink with black feet. They grow from 75-100 cms. The mails are larger than females. They feed by grazing and rarely swim. They are the world’s rarest geese and are affable outside the breeding season. They wander more during the time in small flocks.